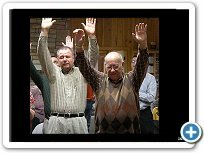 WHAT IS THE PIONEER TRACT SOCIETY? The Pioneer Tract Society was founded about 1932 by George C. Clark ("Preacher Clark"). No longer in existence as an organization, the Pioneer Tract Society was a small and humble group of followers of Jesus Christ, whose desire was to serve both Christ and the family of faith in the spirit of truth. We are continuing in their labor to heal the brokenness of the body of Christ on earth and to help restore the lost unity of the saints. Jesus prayed that his followers would be made one, as he and the Father are one, and we believe that the power and truth of the gospel materials published by the Pioneer Tract Society will help bring about this holy communion among sincere believers before the return of our Lord for his faithful. The truths contained in these materials will promote the growth of the body of Christ into fellowship in the light of God in Christ. Thank you for visiting this web site! We welcome your comments or questions and your participation in distributing these sound teaching materials. Book Introduction - The Book of Job begins with the phrase, “There was a man. . . .” This phrase would lead the reader to think that the Book of Job is a book about Job, but it is not; it is a book about God. Likewise, the title of this book might lead the reader to think that this book is about my father, George Clarence Clark, Sr., but it is not. It, too, is a book about God and His glorious, terrible work upon and through a man. Pastor George C. Clark leads a wonderful meeting recorded in 1971. Hear the government of the Spirit and the wisdom of God present in the testimonies and preaching from this precious gathering. 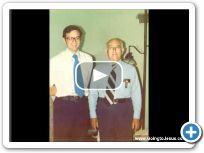 Download PDF Meeting Notes for "Let's Dig In Deeper"
Please enjoy this 30-minute TV program in which Pastor John Clark interviews his father, George C. Clark (this program aired on a local television station in 1988). Preacher Clark shares with us how the Lord got him started in the way of truth, and much more. A WONDERFUL interview! For parts 2 and 3 in this interview series, click 2 and 3. Joseph Hilliard Murray retired in December, 1980, as painting foreman of the Durham City Schools maintenance department. What makes that simple statement so remarkable, however, is that in 1959, the doctors of the Veterans Hospital in Durham told Brother Murray he had 60 to 90 days to live. His body was being ravaged with cancer. But he survived. 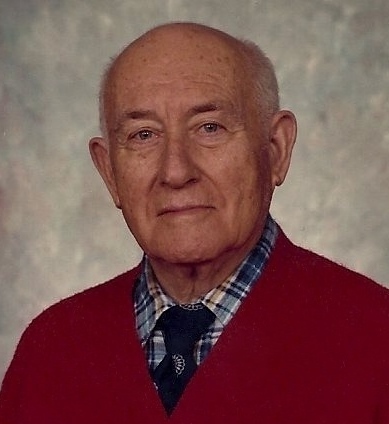 Click HERE to listen to Brother Murray's testimony, taken from an interview with John Clark on the Pioneer Broadcast radio program on February 2, 1980. For Part 2 of the broadcast, click HERE. Editor's Note: Since the time this interview was made, Brother Murray, who in 1959 was told he had terminal cancer, lived to the ripe old age of 80+ and passed away in 1997, nearly 40 years AFTER he was told by doctors he had less than 90 days to live! 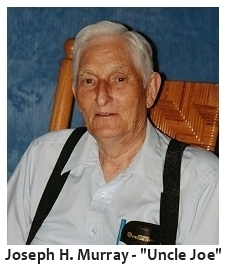 Brother Murray also wrote many uplifting gospel articles, thoughts, and stories during his life. We have compiled, and will be adding to his collection during the coming months as they are transcribed and made digitally ready. View the Uncle Joe Stories collection at this link. How I Received the Holy Ghost! Listen to this wonderful sermon from Preacher Clark (recorded in the 1970s). A real blessing! 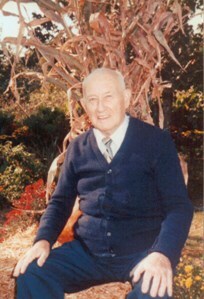 Listen to Preacher Clark's testimony as recorded on the Pioneer Broadcast in 1980. A must hear!! On another edition of the Pioneer Broadcast, John Clark discusses the need to be kept from sin by the power of the holy ghost and our powerlessness to resist unclean spirits if we do not have this power. Please enjoy this wonderful, and sobering, message from Preacher Clark in 1975 - Are You Ready to Meet the Lord?